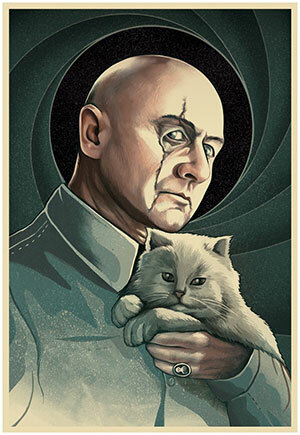 Ernst Stavro Blofeld - head of SPECTRE - is arguably the most famous James Bond villain of all time. 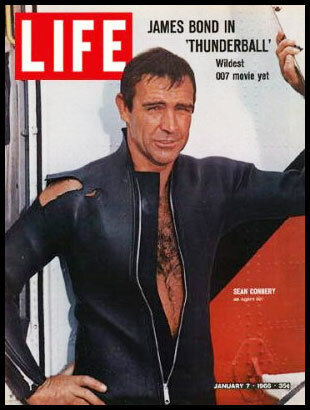 However, his existence and disappearance have been marred in controversy since 1961; when Ian Fleming's Thunderball novel neglected to credit (and pay) SPECTRE's cocreator: Kevin McClory. Lawsuits followed; and, eventually, Kevin McClory was given the full rights to SPECTRE and the Thunderball story. This settlement resulted in Never Say Never Again: a 1983 spin off Bond movie; most famous for bringing Sean Connery back to the series. In the decades that followed, various rumors were heard about McClory creating another unofficial film. However, MGM was quick to file lawsuits and injunctions; ensuring that it never happened. Finally, in 2013, the estate of Kevin McClory reached a settlement with the Bond producers; which brought the rights to Thunderball, SPECTRE and Blofeld back home. It took less than a year for Danjaq to capitalize on the reacquisition: having just announced SPECTRE as the title of Bond 24. For the full history of the 50 year battle over SPECTRE - including all the sordid details of never-filmed spin-offs, bickering, in-fighting and more - keep on reading. Ian Fleming and Kevin McClory first met in 1958 at a screening of The Boy and The Bridge, which McClory had co-written, directed and produced. At that time, Fleming had unsuccessfully tried to get all seven of his Bond novels turned into movies. 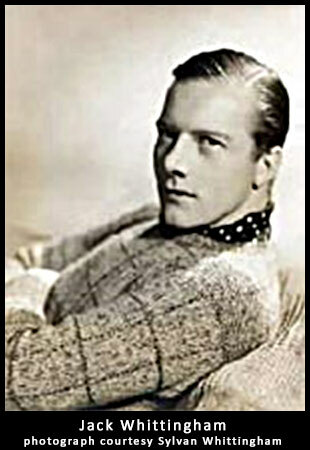 The closest he had come to success was in 1954; when he sold the rights to Casino Royale to CBS for $1,000. It was McClory who suggested to Fleming that they take James Bond into an underwater world, as well as create a super-villain character. This nemesis would be a diabolical, intelligent, seemingly invincible mastermind with formidable henchmen; whose single-handed defeat by James Bond would make James Bond evolve into a cinematic super-hero. "...the trouble with writing something, especially for the screen, is I haven't a single idea in my head." Fleming and McClory began to work on a script in early 1959 and were later joined by well known and accomplished British screenwriter Jack Whittingham. The script, which included the introduction of SPECTRE and Ernst Stavro Blofeld, was written during a 10-month period in 1959 and 1960. As Kevin McClory and Jack Whittingham (photo to the right) were completing the script of Thunderball, Ian Fleming sent a draft copy to his agent, Lawrence Evans. The novel Thunderball was published in 1961, based entirely on McClory and Whittingham's script, and without the knowledge or consent of the coauthors. On March 31, 1961, McClory and Whittingham filed a lawsuit against Fleming, citing a breach of copyrights, breach of confidence, conversion, of contract, false representation of authorship and slander of title. The nine-day trial was held at the High Court in London, England, in November 1963. During the proceedings, Fleming admitted to the court that he had indeed based the Thunderball novel on Whittingham and McClory's scripts, and agreed to publicly acknowledge this fact. On December 3, 1963, the court ordered Fleming to assign and sell the film copyright of the novel Thunderball and all copyrights in the screenplay to McClory. Additionally, under the order of the British court, Fleming gave appropriate authorship acknowledgement in all future editions of Thunderball. 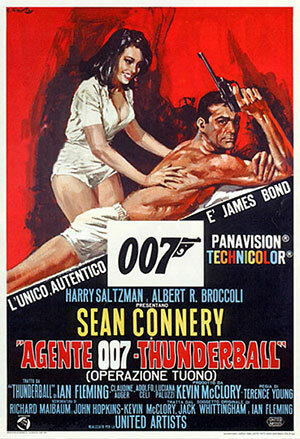 In 1961, despite the ongoing legal dispute, Albert R. Broccoli and Harry Saltzman, together with United Artists, commissioned screenwriter Richard Maibaum to write a screenplay based on the Thunderball novel and/or McClory's James Bond film scripts. They had no assignment of film rights from Fleming, McClory or Whittingham. "The first James Bond film which I was hired for was Thunderball for United Artists and the first [Bond] script I was given to read by Broccoli and Saltzman’s company was Thunderball." Despite being unable to use the script as the first Bond film, elements of Thunderball were incorporated into Dr. No; most importantly, the introduction of SPECTRE. The first legal right for EON to use any material from Thunderball in a motion picture came on March 12, 1965. This was in the form of a license from Kevin McClory’s company, Paradise Film Productions, which limited Danjaq/Eon’s use of Thunderball for one film only. McClory insisted that the rights revert back to his company after ten years; so he could one day make further James Bond films. McClory also retained ownership of all shooting scripts and contents included in those scripts used to make Thunderball. These rights did return to McClory; who, in 1983, produced Never Say Never Again. DID YOU KNOW? Kevin McClory has a brief cameo in Thunderball; appearing as a guest smoking a cigar when 007 enters the Nassau casino. Below is a screenshot; courtesy of BondMovies.com. With the release of The Man With the Golden Gun in late 1973, Bond fans begun to become tired of the Bond character. The film was a critical bomb, Albert R. Broccoli is working, for the first time, without his longtime partner Harry Saltzman, and the rights to Thunderball had returned to Kevin McClory. Sensing that the time was right to get back into the 'Bond-game,' McClory promptly announced that he would begin production on a new Bond film, entitled James Bond of the Secret Service. MGM promptly filed suit against McClory to stop him from making a rival Bond film. McClory's argument was that he alone had the rights to SPECTRE and Broccoli and company could not use it. Broccoli stated that McClory had no right to make a movie based on the original drafts; as he didn't have Ian Fleming's permission. Due to lack of financial backing, McClory backed down. 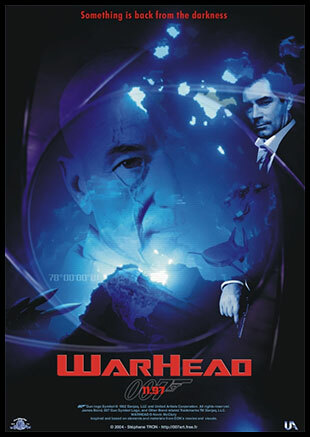 In 1978 Danjaq/United Artists and the Fleming Trustees tried, in two separate actions, to prevent Paramount and McClory from making a James Bond spin-off movie called Warhead; which would be based on McClory's Thunderball scripts. Danjaq/UA did not proceed with their action, but encouraged and indemnified the trustees to bringing the case to court, however unsuccessfully, in an effort to keep the project in limbo. The Spy Who Loved Me and Moonraker are global blockbusters and Bond is back in the limelight. Despite sneaking the "wheelchair villain" into For Your Eyes Only - an obvious reference to Blofeld - Kevin McClory still has sole rights to Thunderball, SPECTRE and Blofeld. At this point, McClory has spent the last seven years talking about and trying to find financial backing to go win a court case and remake Thunderball. All his problems were solved when McClory met Jack Schwartzman of Warner Brothers. Schwartzman knew McClory had the rights to do the film; his case just had to be presented correctly. The Fleming trustee case against Never say Never Again lasted until 1983, when the British High Court ruled for Kevin McClory. The ruling stating that the Deed of Assignment - dated December 31, 1963 - gave McClory full rights to both the novel and original scripts to Thunderball. Thanks to the help of Warner Brothers' lawyers, McClory was finally free to begin production on his remake. Since releasing Never Say Never Again, McClory continued to hint at another remake. In 1989, he announced that he begin filming on Warhead 8; which never materialized. 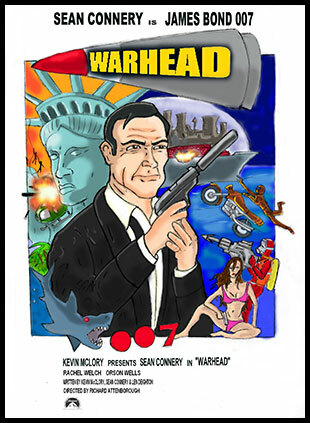 Then, in 1996, McClory got headlines again when he announced he would be making Warhead 2000 AD: with Timothy Dalton as Bond. Again, this was a short lived rumor... or so everyone thought. On October 13, 1997, Sony Pictures announced that, in association with Kevin McClory, they would be creating their own Bond franchise. Set to begin in 1999, the first film would be the long awaited Thunderball remake. Needless to say, the movie never happened. 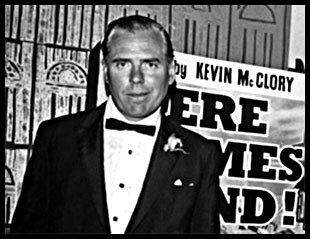 From 1997 through 1999, the world watched as Kevin McClory once again found himself in court, battling for the then three decade old rights to Thunderball. After announcing that Sony would be making a rival Bond film, MGM and Danjaq promptly filed a $25 million lawsuit in federal court; charging that Sony's efforts to mount a rival Bond film are due to "a disgruntled former executive of MGM's United Artists Pictures." "All based on the sort of action originally written in the story line for Thunderball." Because of that, they claimed that McClory was the coauthor of the cinematic Bond. Sony further claimed that MGM and Danjaq owed McClory fees for all the Bond movies they have produced because he was the coauthor of the cinematic Bond. 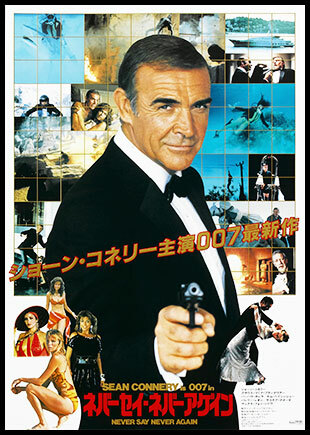 As the trial continued into the summer months, Sony began pre-production on their rival Bond film before MGM filed an injunction to cease all activities on the movie. The injunction was issued on July 30, 1998 and production promptly halted. This essentially marked the beginning of the end for the ill-fated second McClory remake. In the months that followed, the sides went back and forth. The original December 15, 1998 trial date was pushed back indefinitely to give the appellate court an opportunity to rule on Sony's appeal of the preliminary injunction. The final blow came on March 30, 1999, when Sony reached a settlement with MGM. 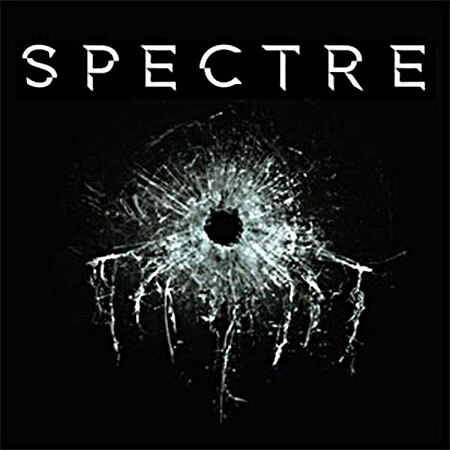 "Essentially," said Sony attorney David W. Steuber, "we have given up the universal right to make a James Bond picture." McClory promptly appealed to the U.S. Court of Appeals for the Ninth Circuit. Their ruling was the same; and. on May 11, 2001, the original finding was upheld. McClory was not entitled to a share of the profits from the series. Despite that final nail in the Thunderball coffin, occasional rumors still trickled out over the next few years. These rumors became particularly loud in 2004, when Sony Pictures entered a bid to buy MGM; which, it eventually did. However, since all the official and unofficial Bond movies were now under the same umbrella, creating a "rival" Bond movie was no longer necessary. Not to mention, Kevin McClory still owned the rights to the story and characters... even if he couldn't do anything with them. 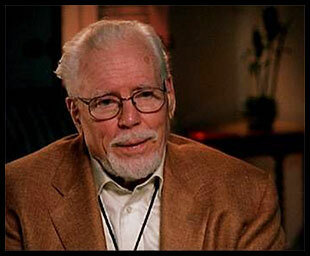 When Kevin McClory died on November 20, 2006, the rights to Thunderball, Blofeld and SPECTRE passed on to his estate. Seven years later, on November 15, 2013, McClory's family finally agreed to return those rights to MGM and Danjaq: the creators of all official Bond films. Although the terms were not disclosed, the agreement finally put an end to a 50 year old rivalry... and paved the way for 2014's SPECTRE. In the late 90's, Universal Exports reported extensively on the court battle. Below are links to some of the most important articles from the case.